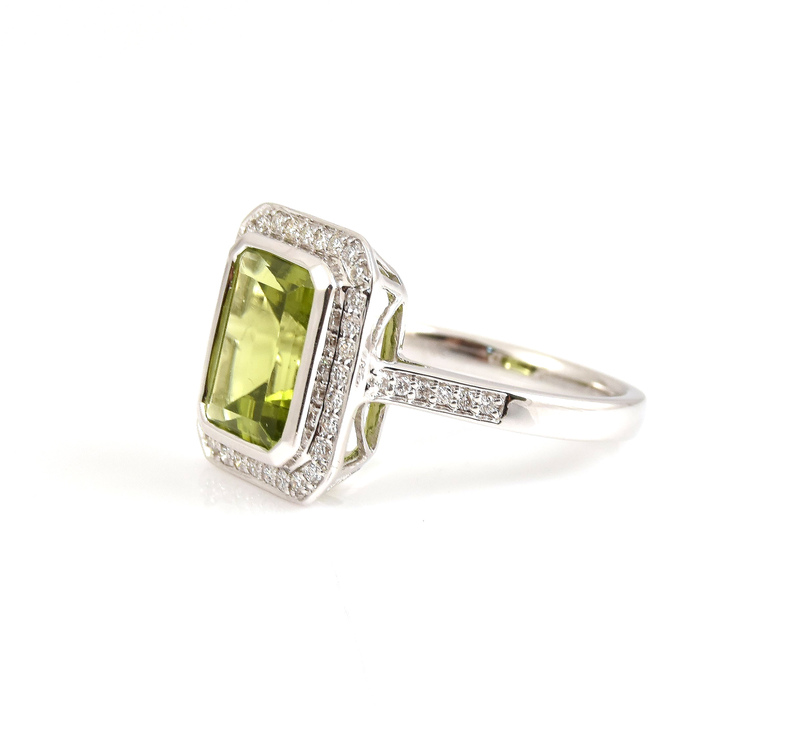 An 18K white gold Peridot and diamond dress ring. Featuring a 3.18ct step cut Peridot surrounded by a fine halo of round brilliant cut diamonds and down the shoulders of the band. Looking for a matching pair of earrings? 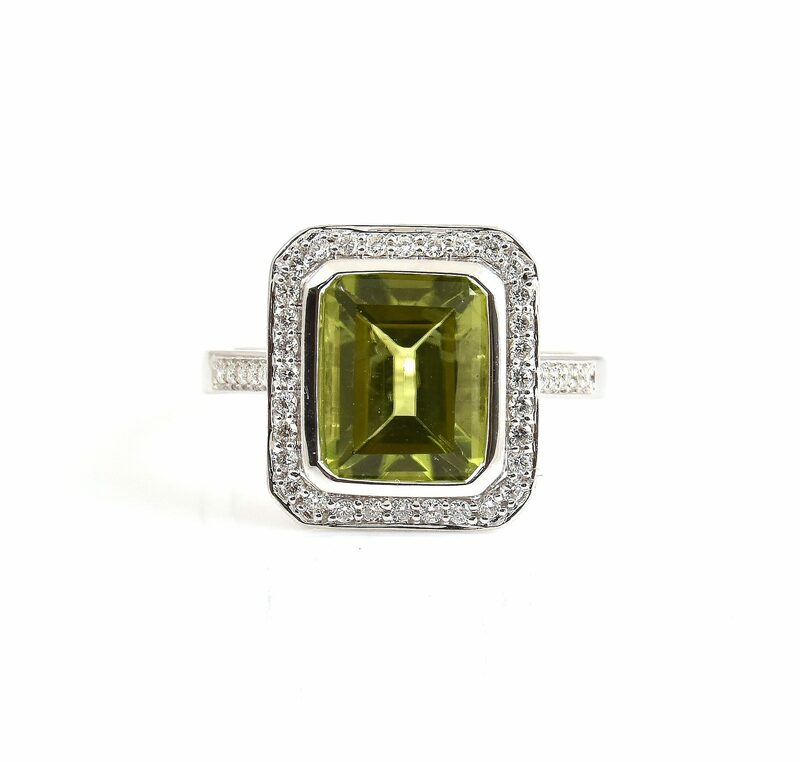 Click here to view our range of gemstone earrings.